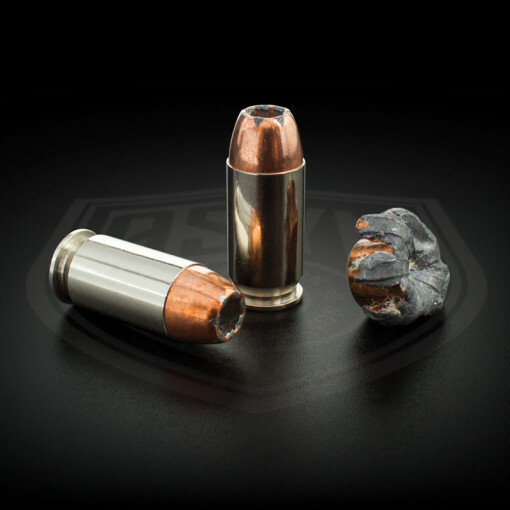 A high performance defensive/tactical load featuring the 230 gr. Hornady XTP bullet. It is loaded in our premium nickel plated ASYM MATCH brass, with premium propellant, to 860 fps from a 5″ Colt Government Model pistol. This load generates almost no muzzle flash, and meets FBI protocol test standards.